This wedding is a special one. I know Edel years & was really honoured when she asked me to photograph her wedding. (She’s a newborn and wedding photographer – so I was also a huge bag of nerves!) But any nerves I had, immediately disappeared when I arrived at Edel’s house. Seriously, I know I say it on every blog post but these girls were the CRAIC!!! Including Edel’s mother Ann, who was probably the most craic out of everyone at the wedding. 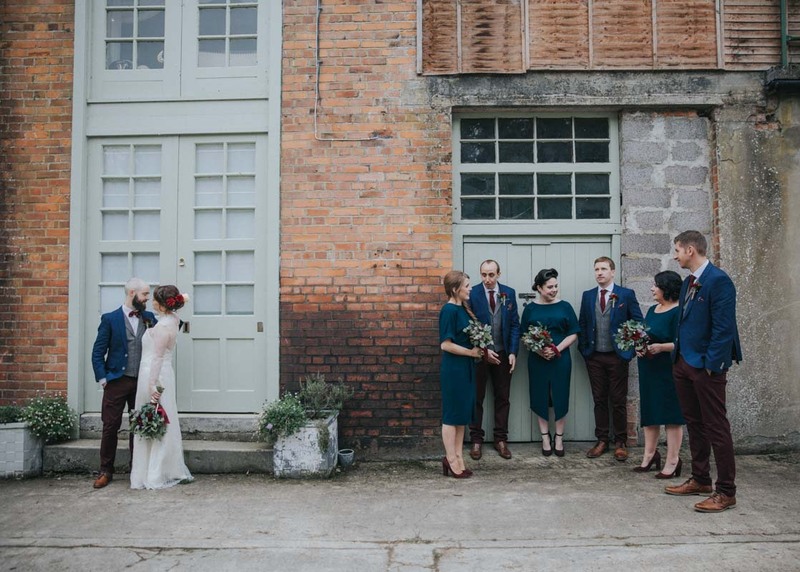 Tommy & Edel chose The Millhouse in Slane as their wedding venue. It’s no secret that I adore The Millhouse. Everything about the place screams ‘chilled out’. This suited Edel & Tommy down to the ground. And all their guests too …… I have never seen a wedding where every single guest laughed as much. This, to me, is what a wedding should be all about …. LAUGHING. Oh, and fun. And not forgetting, alcohol! Buckfast and home-made beers in this case. Edel & Tommy are the type of couple that you want with you on a night out. Chilled out and good craic – the best combo! Check out the photos below to see exactly what I mean.